What's better at blocking sunlight: a traditional flat occulter disk or a beach ball? NASA scientist Phillip Chamberlin is putting his money on the latter. 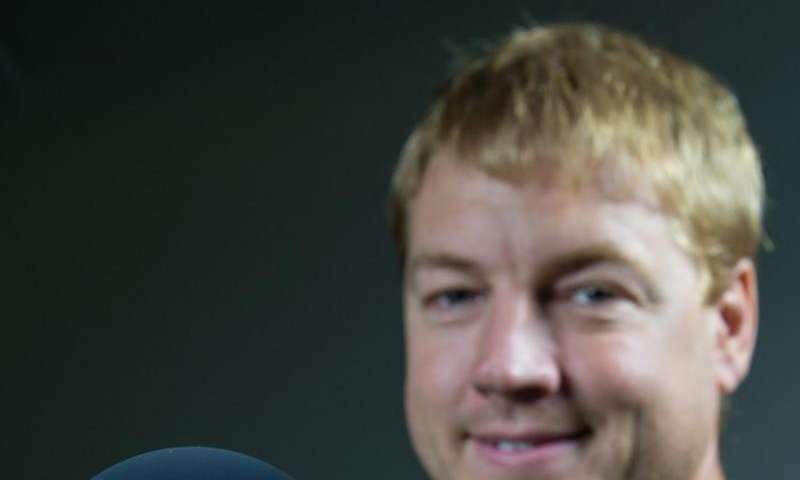 He and his team at NASA's Goddard Space Flight Center in Greenbelt, Maryland, now are developing a formation-flying CubeSat mission to study the sun's atmosphere or corona. The path-finding mission would deploy a never-before-flown tennis ball-size titanium occulter, a device that blocks bright light. It would fly in formation with a CubeSat equipped with an imaging spectrograph that would study the sun's corona, and more particularly, coronal mass ejections. These gigantic bubbles of charged particles speed across the solar system and can disrupt electronics on low-Earth-orbiting satellites and damage terrestrial power grids when they slam into Earth's protective magnetosphere. In particular, Chamberlin is interested in imaging and measuring the temperature and speeds of electrons that make up these violent outbursts using a technique that has never before flown in space. This data would improve scientists' understanding of how the corona evolves over time and perhaps what causes the coronal mass ejections, also known as CMEs. "Currently we can't predict them. We don't know the warning signs. We're like weather forecasters 50 years ago," Chamberlin said, adding the mission also could shed light into why the solar corona is orders-of-magnitude hotter than the sun's surface, or photosphere. Under the R&D-funded concept, called the Spherical Occulter Coronagraph CubeSat, or SpOC, the occulter would block the sun's light—in effect creating an artificial total solar eclipse—revealing the corona, and, of course, the energetic events that take form there. To carry out this mission, NASA would insert the CubeSat in an Earth-escape orbit beyond the orbit of the moon. The instrument-carrying mother ship would literally drop the occulter sphere and adjust its orbit via thrusters and navigation technology so that it would fly roughly seven feet behind the device. The mission couldn't come too soon, Chamberlin said. Currently, two spacecraft, the Solar and Heliospheric Observatory, or SOHO, that NASA launched in 1995 and the Solar Terrestrial Relations Observatory, or STEREO, deployed 11 years later, carry flat-plate occulters that block light originating from the photosphere to make visible the sun's corona that otherwise scientists could not see. However, both spacecraft are getting older and NASA currently has no mission planned to provide the same coronal observations. Just as important, Chamberlin said, is the position and shape of the occulter plates used on these missions. "Coronagraphs are notoriously noisy," he explained. Diffractive light—in other words, the light that passes around the edge of an object—interferes with the light that the instrument needs to gather. One way to avoid light contamination, he added, is to place the occulter disk as far away as possible from the instrument. In SOHO, the occulter is positioned 2.6 feet from the coronagraph; in STEREO, it sits farther away at 4 feet. In SpOC, by way of comparison, the distance is nearly double the distance of STEREO's occulter plate at roughly 7 feet. Furthermore, current research is likely to prove experimentally the theory that spherical occulters are more effective than flat plates at blocking light, Chamberlin said. A case in point is the moon itself, which at least once a year moves into a position between Earth and the sun to create a natural coronagraph, revealing the faint halo of coronal light. "The diffraction isn't concentrated and therefore you get less noise," Chamberlin said. Enter SpOC's titanium sphere. In addition to the diffraction-suppression advantages of being round, the sphere could prove even more effective at eliminating noise. Chamberlin plans to test the effectiveness of a carbon-nanotube coating, which he would apply to the titanium balls. This super-black material, comprised of multi-walled nanotubes made of pure carbon, is especially effective at absorbing stray light. That's because carbon atoms occupying the nested tubes absorb the light and prevent it from reflecting off surfaces. In this case, Chamberlin wants to further reduce scattered sunlight that reflects off Earth and then into the spectrograph. The next step, he said, would be to further advance the technologies and compete for a CubeSat mission opportunity that would lay the foundation for a larger, more robust mission—one where he would swap the solid, titanium sphere for a 98-foot diameter inflatable occulter that is more like a giant beach ball. It's not a far-fetched concept, either, he said. 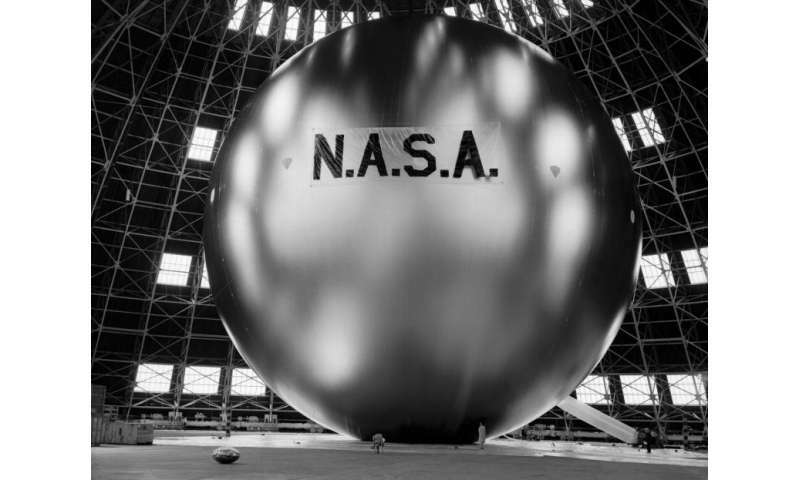 NASA's Langley Research Center designed Echo 1, a 100-foot diameter Mylar-covered (a protective plastic coating or insulation) sphere that operated as a passive communications reflector for transcontinental and intercontinental telephone, radio, and television signals after its launch from the NASA's Wallops Flight Facility in 1960. It re-entered Earth's atmosphere in 1968. "SpOC is a pathfinder directly scalable to future Explorer-class coronagraphs, with even larger separations, possibly hundreds of meters using inflatable spherical occulters," Chamberlin said. Such a configuration would more closely resemble nature's most effective occulter—the moon.